On the 35th anniversary of the Falklands War, it is a fitting opportunity for the shipmates of RNA Portland Branch to reflect on and commemorate the crossing the bar of fourteen members of HMS Glamorgan ship’s company. 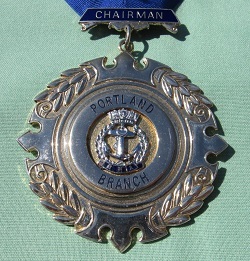 Especially as many of those who died where part of the Wessex ship’s flight from 737 Naval Air Squadron, who were at the time based at RNAS Portland, and lived and had families in the area. 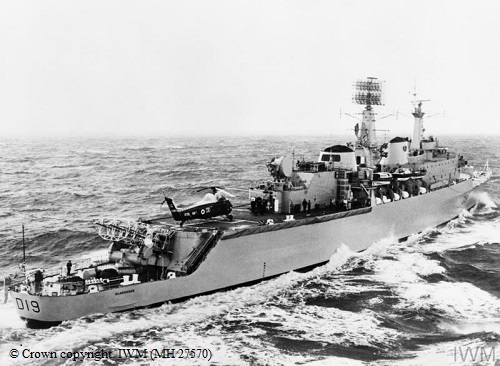 HMS Glamorgan was a County class guided missile destroyer that formed part of the advanced group of the British carrier battle force deployed to the South Atlantic at the beginning of April 1982 to retake the Falkland Islands following the Argentine invasion. Thirty five years ago, on the morning of 12th June 1982 at just after 06:30 Glamorgan was hit by a shore-launched Exocet missile whilst supporting 45 Commando Royal Marines with naval gunfire bombardments during their assault on Argentine troops on the “Two Sisters” Heights overlooking Port Stanley. It is particularly poignant as it transpired that two days later on 14th June 1982, the Argentinians surrendered, and once again the Union Flag proudly flew over the Falkland Islands. The missile struck Glamorgan on the port side aft, exploding on impact, destroying the Wessex helicopter, severely damaging the hangar, and wrecking the main galley below. Thirteen of the ship’s company were killed and one fatally wounded, with a further thirteen injured. Six of those killed were from the ship’s flight of 737 NAS based at Portland. Also killed was a young cook from Bridport. The casualties were evacuated to HMS Hermes and HMS Invincible. Although badly damaged, initially with complete loss of power and serious flooding, Glamorgan was the first RN ship to have survived an Exocet attack. By 10:00 on that day with all fires extinguished she was able to leave the danger area at 20 knots. The thirteen crew members who lost their lives that day were buried at sea that evening in position 51º 50.5′ South 53º 31.2′ West. 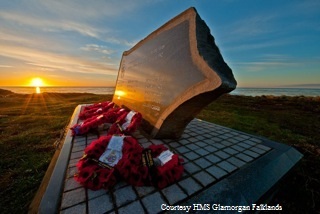 In February 2011 a memorial was erected at Hookers Point on the Falkland Islands facing the spot out to sea where Glamorgan was hit. 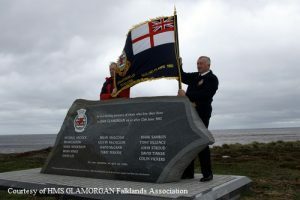 The Dedication Ceremony was attended by Captain Mike Barrow, Royal Navy, the ship’s commanding officer during the conflict in 1982, along with 36 members of the Glamorgan Falklands Association, including relatives of those who died, and over 200 islanders. THE FALKLANDS CONFLICT, APRIL – JUNE 1982 (FKD 212) Rear Admiral J F ‘Sandy’ Woodward, Task Force Commander with his staff in the Captain’s Day Cabin on board HMS GLAMORGAN before the Flag Transfer to HMS HERMES at Ascension Island. 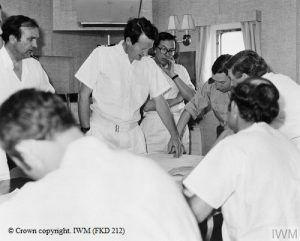 During this time the Cabin was converted to a Staff Office. Copyright: © IWM. 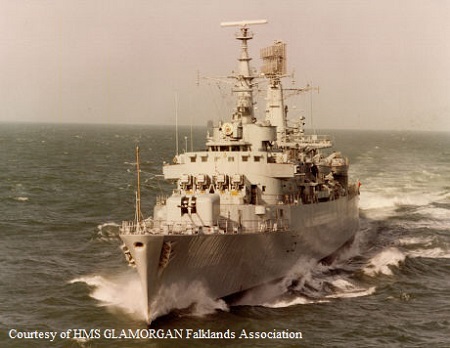 THE FALKLANDS CONFLICT, APRIL – JUNE 1982 (MH 27570) The County class cruiser HMS GLAMORGAN. Copyright: © IWM.